Why You Should Start Waking Up At 5 A.M.
Health Why You Should Start Waking Up At 5 A.M.
We have read many articles saying that working before 10:00am can cause agony and mental strain. But recent studies have shown that waking up early before dawn can help plan the day ahead and prevents procrastination. Experts now recommend to include waking up early. As an old saying goes, 'the early bird catches the worm'. It is also alarming that we have seen many articles that glorify tardiness and claim that people who go to work or school late have more chances of success. If we'll take a look at the schedules of the world's most successful people. We can observe that they start the day early and plan ahead. Tim Ferriss, the author of the best selling book titled The 4 Hour Work Week recommend working early in the day for 4 hours straight can result to maximize productivity. 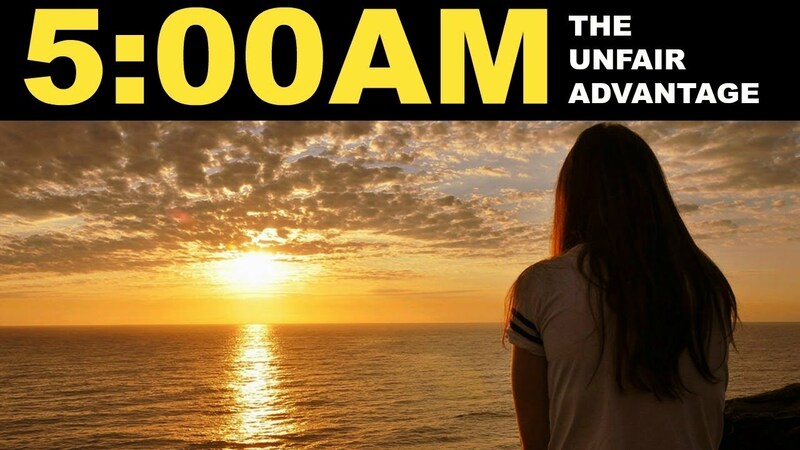 The video below explains how waking up early can encourage productivity.